We conducted laboratory tests with six species of plants to determine their ability to remove benzene, trichloroethylene (TCE) and toluene from air. 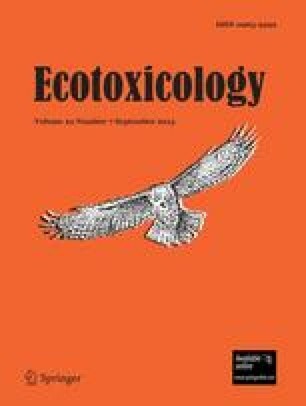 The objective of this proof-of-principal study was to evaluate the idea that phytoremediation techniques might be used to lower the concentrations of indoor air pollutants, such as volatile or semi-volatile organic compounds. Plants were exposed to the pollutants singly or in mixtures in an airtight chamber, and concentrations of the pollutants in the chamber were monitored through time to assess plant effects on the pollutants. In several experiments, we measured air temperature and CO2, as well. Lower surfaces of leaves of several of the species we tested were also examined by scanning electron microscopy to determine stomate abundance and size, and to provide information about leaf-surface elemental composition (by X-ray emission spectroscopy). Several of the species demonstrated an extensive ability to remove benzene from air. Gas chromatography methods allowed a reasonably direct, continuous monitoring of the kinetics and overall efficiency of the pollutant-removal process. We found that pollutant removal efficiency varied in response to plant species and the pollutant. Of the pollutants tested, benzene was most efficiently removed from air by Pelargonium domesticum, Ficus elastica and Chlorophytum comosum. Kalanchoe blossfeldiana, a common ornamental plant, appeared to take up benzene selectively over toluene, and TCE was removed efficiently from the air by C. comosum. Pentane, sometimes used as an internal standard in GC/MS, was removed from air by at least four of the species. For C. comosum, TCE appeared to lower the removal rates of benzene and pentane. Low-vacuum scanning electron microscopy provided information on stomate size and density and permitted rapid initial elemental analysis of the plant-leaf surface by X-ray emission spectroscopy. Our results indicate that simple tests for pollutant uptake, morphological and chemical features of plants, and plant detoxification enzyme activity might be used in multivariate fashion to identify plant species capable of removing volatile or semi-volatile pollutants from air.